Cabbage isn’t exactly one of those things that inspires us with awe. On it’s own, it tastes quite bland, so does need a fair bit of additional help to make it palatable. That’s where soups and steaming can come in handy. 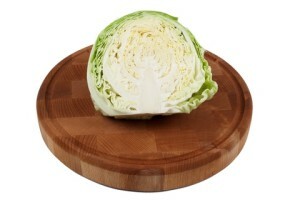 It doesn’t help that cabbage is quite easy to grow, so we end up with quite a lot of it in the fair months. 800ml Boiling Water - or up to your soupmaker maximim level. Saute your onions, herbs and garlic in the olive oil until the onions are soft. Add all the ingredients to the pot. I’ve just made this soup, and to be honest it tastes disgusting, even after adding a few more ingredients like chorizo, a bit of Stilton cheese, it was more palatable but won’t be making again. If they served this in prison there would be a riot. Sorry you don’t like it Sue. I guess we all have different taste buds and cabbage soup of any kind is always difficult to work with. I used to dislike it, but I’ve got used to the taste now. This looks like the BASIC recipe I use…but, I use a ham bone and bouquet garni (hanging over the edge in a tea ball…and double the bouquet garni if I make double the amount.) No tea ball ?? Just throw the bouquet garni herb combo in it. No need to separate it out …except for bay leaf.. This might well make the difference that even the prisoners would like !!! !